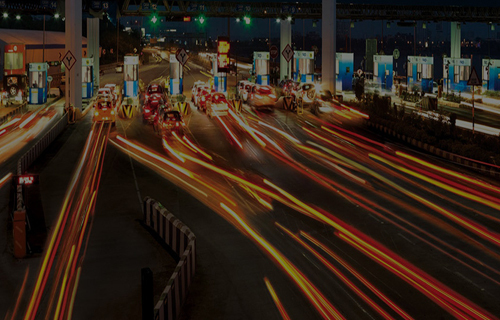 We are India's one of the leading infrastructure operator and toll management company . . .
For your first purchase of tag you will have to visit the respective toll plaza, because the tag will be stuck on the windscreen from inside by the issuing person. All subsequent payments for tag recharges can be done online. Copyright mep Infrastructure developers ltd. Welcome to MEP Infrastructure Developers Ltd. Commitment is what transforms a promise into reality . . .
We aim to deliver on our promise by implementing an organizationally innovative and a technologically sound business model - that is mostly self-funded, is asset light and highly practical to implement and administer. Our vision is to strive towards transforming surface infrastructure into an enriching customer experience. Our mission is to enhance value for stakeholders through intelligence, innovation and integration. Our core values are driven by a desire to achieve excellence, operate, with the highest standards of integrity and employ a diverse workforce that values collaboration. Every aspect of MEP’s businessis characterized by integrity,innovation, intelligence and high standards of corporate governance.